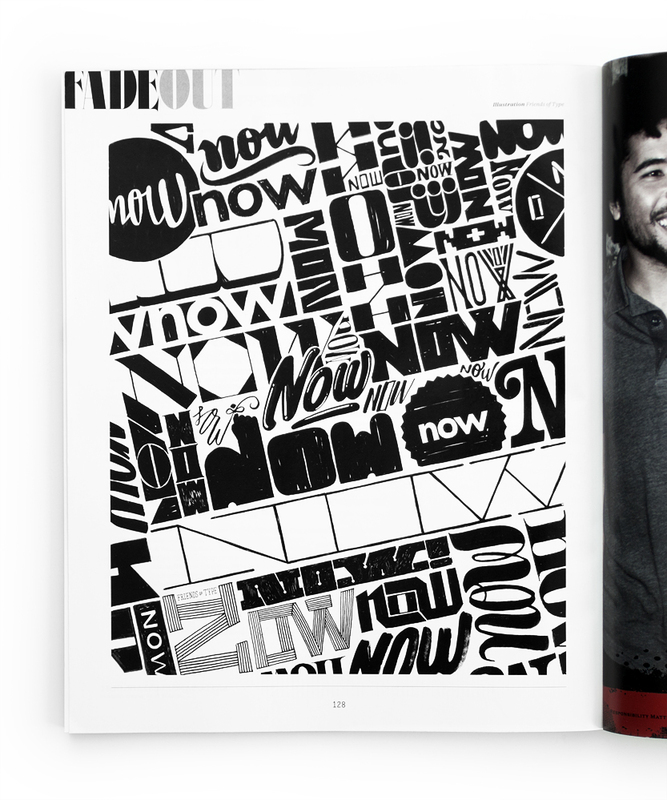 We were assigned the outro page for the Fader “Now” issue. Each of us threw in some letters and Erik and I devised the format for our disparate work to play together. Erik executed the final composition, hand tracing the entire piece to give it a final uniform look. Art direction by Justin Thomas Kay.